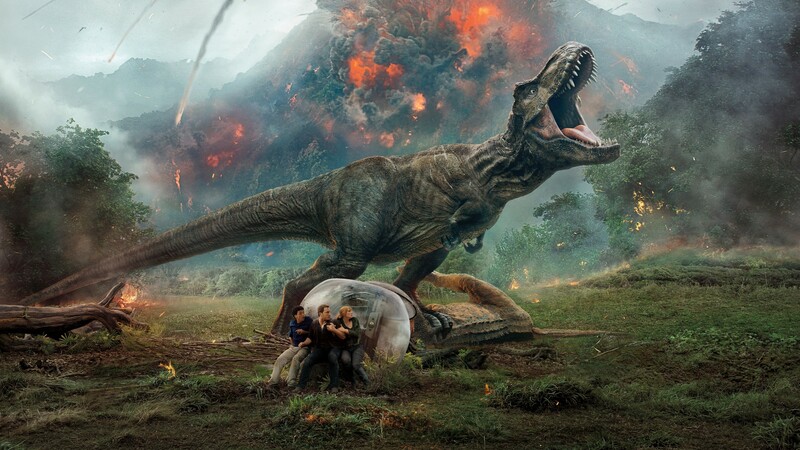 The next time a film like Jurassic World comes out, critics and audiences should be careful with their praise and patronage. I'm half joking, but hear my cynical side out; our applause and money led to a sequel that was guaranteed to be awful and delivered. 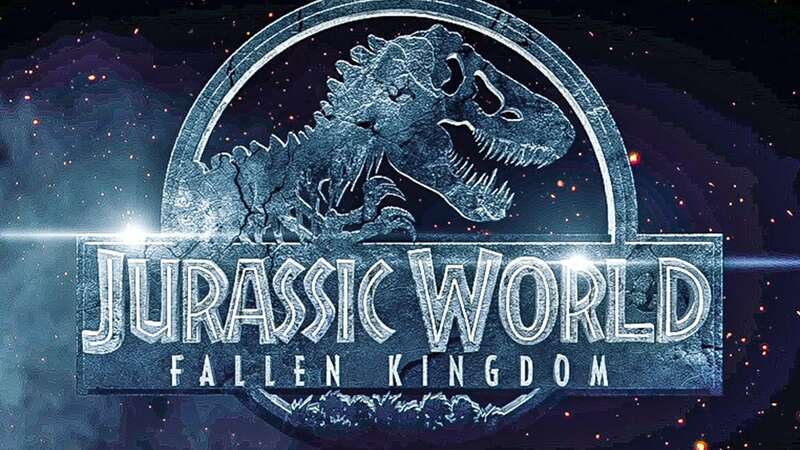 The fourth installment of the franchise was fun, very fun, not great but fun, and so we let the studio know that we could still enjoy a dinohorror movie, that they did an adequate job, that Pratt was a cool hero who we could support, that we liked the old references that they threw in just for our entertainment. But that's where we made a mistake; that all just alerted executives that there was more money to be made, so out came Fallen Kingdom. Not shockingly at all, it's a movie we didn't need, didn't ask for, and that didn't get a lot of A-game effort from anyone involved, the result reflecting that fact much too sharply. So Jurassic Park was a bad idea, Jurassic World was a badder, but that won't stop some random millionaire from shooting for baddest when he decides to save the dinosaurs from the crumbling Isla Nublar in a bizarre scheme to help mankind, help dinokind, love animals, please a granddaughter; it's not exactly clear. Who are sent in to secure the creatures, and especially Blue the Raptor; none other than our heroes Owen and Claire, who seem to be in on the mission for the right reasons, even if everyone else around them is clearly a psychopath. Things go wrong on the island, of course, but that's not all; dinosaurs are brought to the US by the dozens, and there's no guarantee that they'll all stay in their cages. After all, nature will always find a way. Dozens of times during the film I said to myself "well that was dumb". And I didn't just mean the guy choosing to voluntarily walk into a dinosaur cage, let the door close behind him, set down his gun, and basically serve himself up to be eaten; that's general movie stupidity that we let slide, like people going down in the basement in the dark even though we scream at them not to. No, I'm talking about a special dose of dumbness that plagued this film from start to finish, that slid into every crack of the story and smiled at us with a goofy, aggravating grin. Colin Trevorrow wrote Jurassic World, and he did a pretty good job, but he seems to have run out of ideas, either that or he was focused on the upcoming Star Wars: Episode IX, which I am now very worried about. Fallen Kingdom's script was stupid, every choice each character made was idiotic, and it's no surprise that, while I cringed, the couple to one side of me at the theatre guffawed along merrily from start to finish, because the movie was definitely on their level. It was just so blatantly dumb, dumb all around, dumb with no apology, and I'm now angry at myself for being a part of the general permission granted to this studio to keep this franchise alive. There's gonna be another one, god help us, and there's nothing we can do about it now. 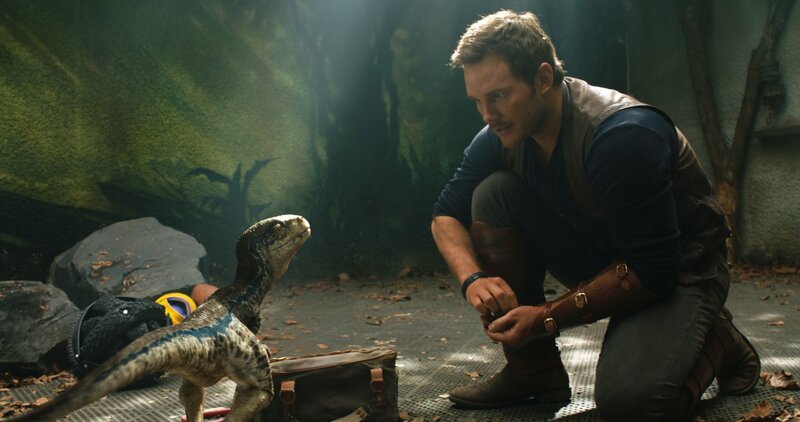 Even the small details that I appreciated about Jurassic World were missing from Fallen Kingdom; humor, references, larger than life action sequences. Oh they tried, but the intern-like young people weren't funny, the island was left behind, and the action was basically only some dinosaurs chomping some people in half. There were some confused attempts to make Blue into a hero, which was odd, and to support the modern feminist movement, which was simply misplaced. Again, just bad choices all thrown together into a summer sci-fi flick until I really though I might lose my mind. Pratt was fine, Howard was fine, the little girl was fine, but everyone else completely sucked, from Rafe Spall's and James Cromell's fake accents to Toby Jones' fake teeth. Almost every single detail was a poor and stupid choice, the opposite of what any good filmmaker should do/would have done. Maybe there was a deadline and very few shits given about the ultimate quality; that's what we get for giving a money-making machine the green light to milk us for more.